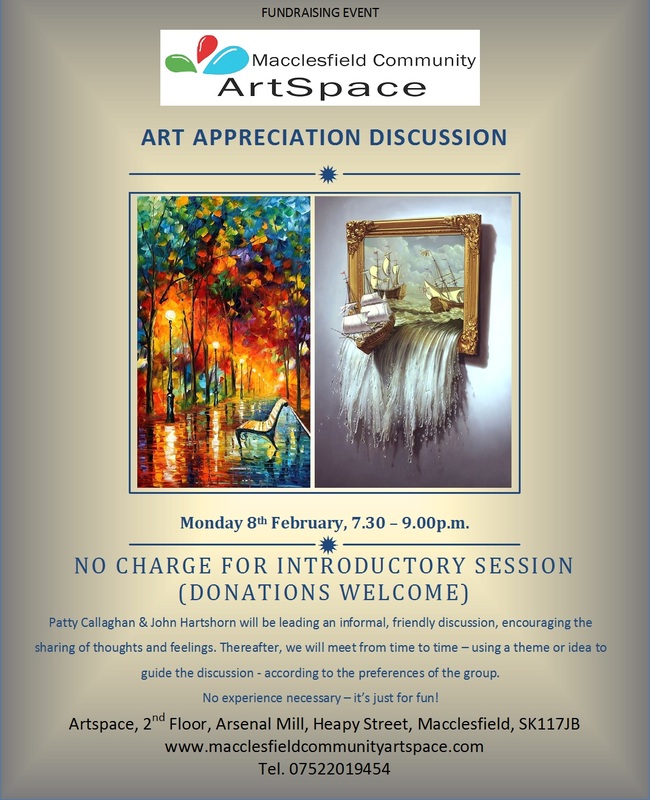 An Introductory session for a new group at ArtSpace to share and discuss Art. Patty Callaghan & John Hartshorn will be leading an informal, friendly discussion, encouraging the sharing of thoughts and feelings. There will be no charge for this session, however donations to ArtSpace are as always very welcome.